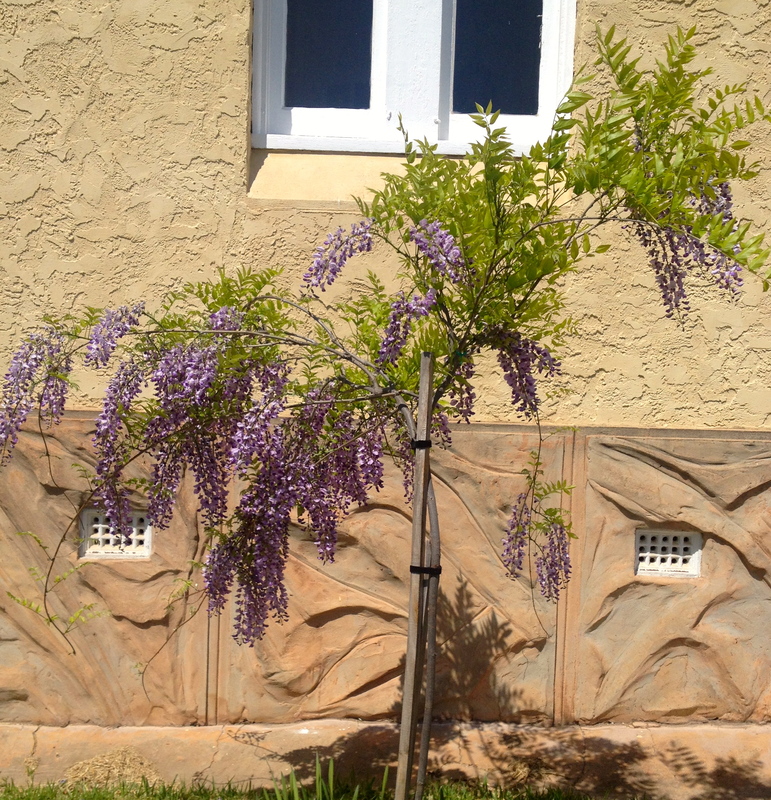 One of two standard Wisterias under the arched windows, just over a year old. 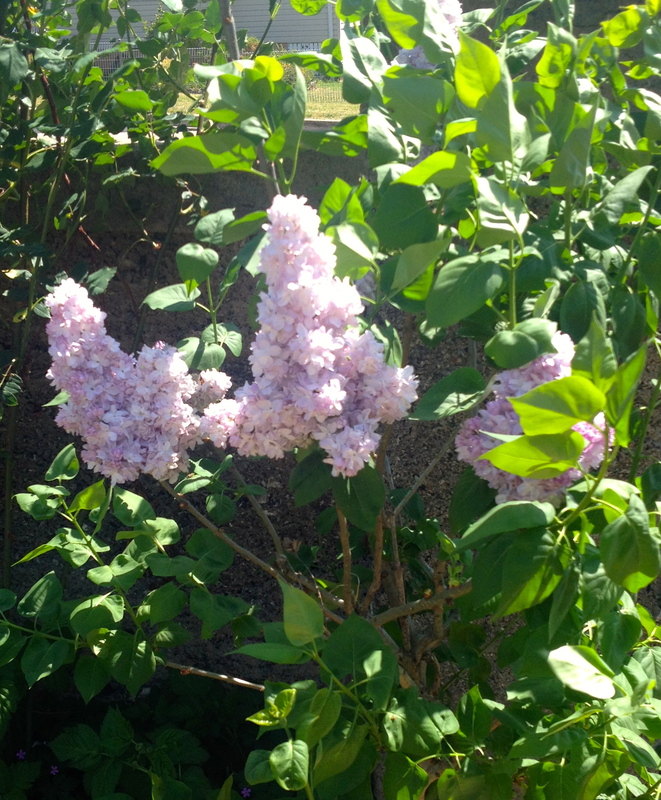 I have two Lilacs – a pale pink and a mauve. They were small when I bought them two years ago but look healthy and have flowered this year. It’s been three years since I discovered the Convent and nearly two years since moving here. For the garden, this means that some of the plants are now hitting two years of planting and beginning to show themselves as future garden champions. Some have surprised me in how they have taken off and others have been, quite frankly, a tad disappointing. I’ve also had my share of losses and learnings with my first large garden, establishing plants from scratch and adapting to what is often a harsh environment. 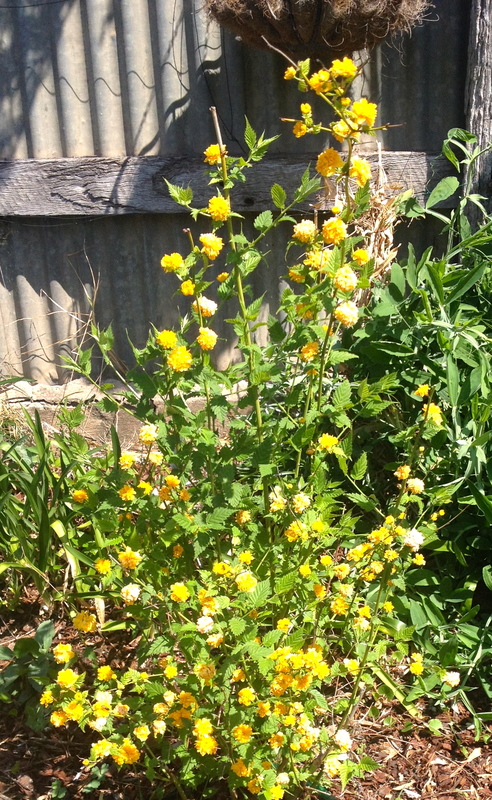 A Kerria Japonica with lovely deep buttercup blooms. I’m finding that it’s taking at least two years to get the garden beds in a healthy condition, given none of them were here and I’ve had to clear and build the beds from scratch. The plants are much better in matured garden beds that have been well fed and mulched and left to settle over a period. This means that in some of my garden beds, plants are really just starting to kick off. 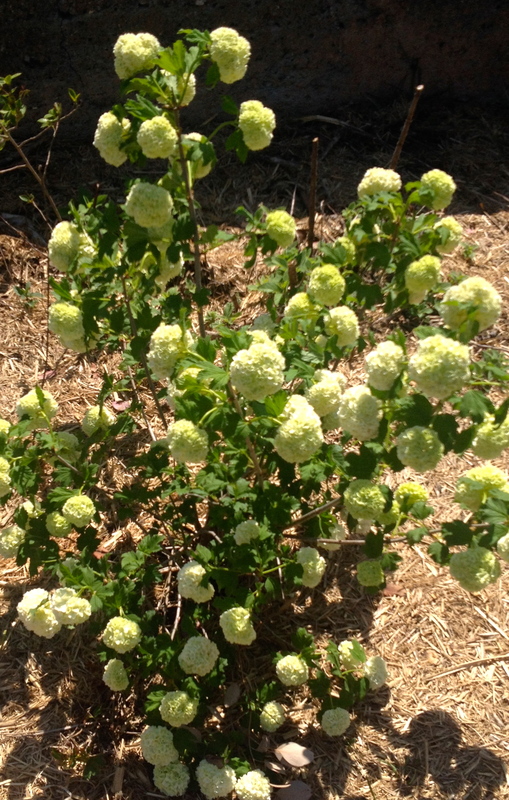 I have two Snowball Viburnums which are great visually and also make great cut flowers. The roses (which will have their own posts) are now feeling at home and many are showing signs of strong growth, thickening and are more bountiful with their buds (which I hope will give me a great display). I should know by now that bare rooted roses aren’t my strength and no matter what I promise myself, they won’t be getting planted within days of delivery! Anyway, the old ash fence at the front is now not so exposed as plants begin to show over the top and a few of the rambling roses are working their way over it. This post displays some of the plants that are showing great promise early in the garden’s development. 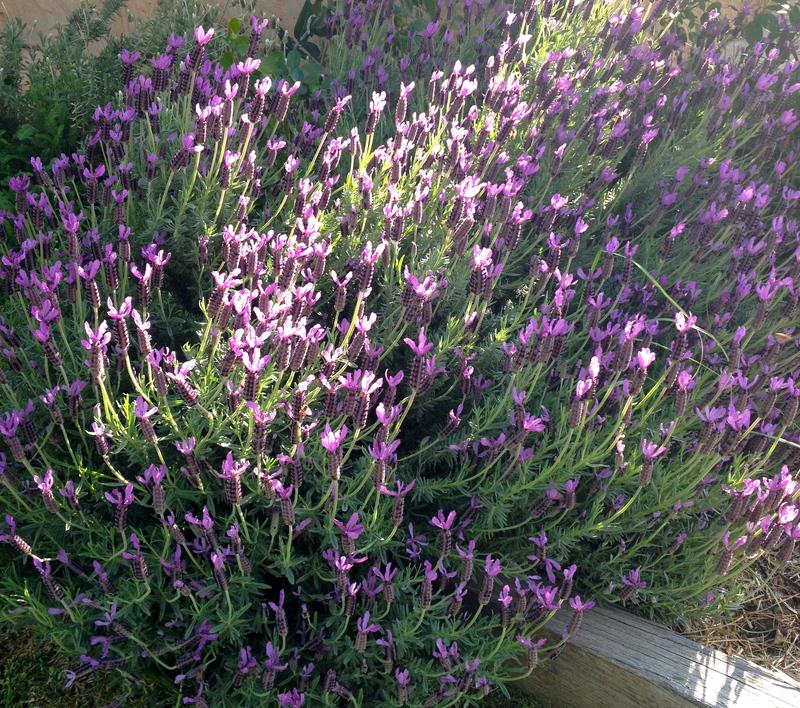 The lavenders are all spectacular and must love this area. 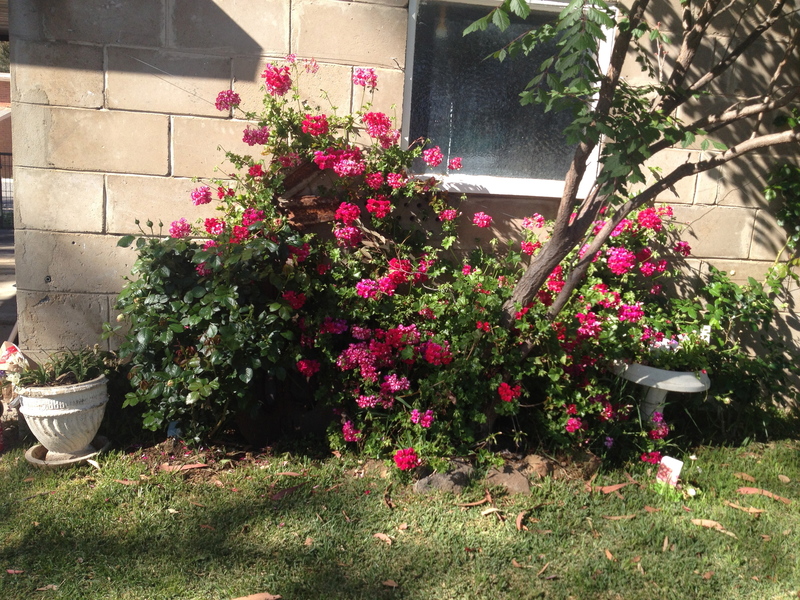 The old Ivy Geranium is giving the Climbing Pierre de Ronsards more than a run for their money. This should look great covering the old garage once established. Can you feel sorry for a tree? I did with this one – firstly it’s name is ‘Tortured Filbert’ and it looks so twisted. 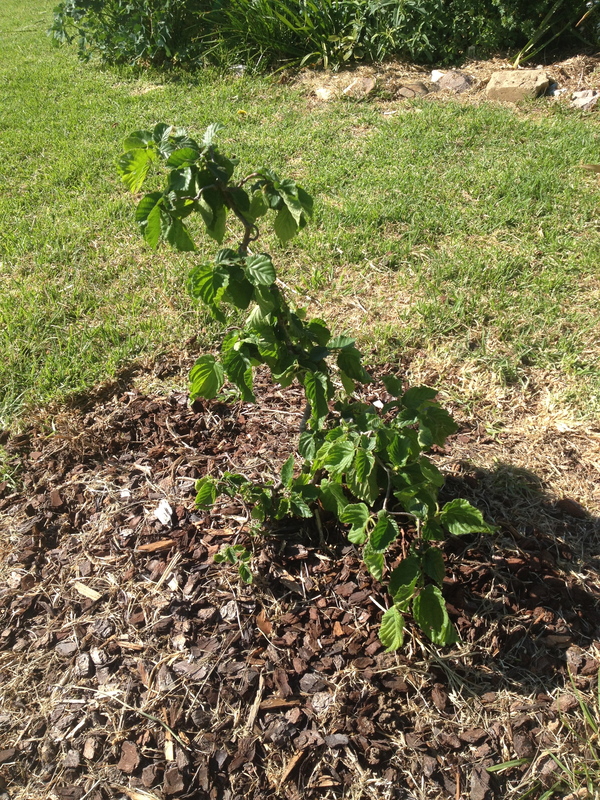 It’s actually a very pretty unusual little tree and I hope it grows to an interesting height. Great to see how the garden has progressed! Gardens take their own time. Your Lilacs do encourage me to get one or two for our garden. After all our town has a Lilac Festival so we should have some in support of our town.